Are you excited?! The Summer Sweat Series officially launches today and I couldn’t be more excited. Lee and I have been busy getting ready to bring you FREE healthy meal plans, grocery lists and killer workouts for the next 30 days. I know many of you have been eagerly waiting for the Summer Sweat Series to arrive again. 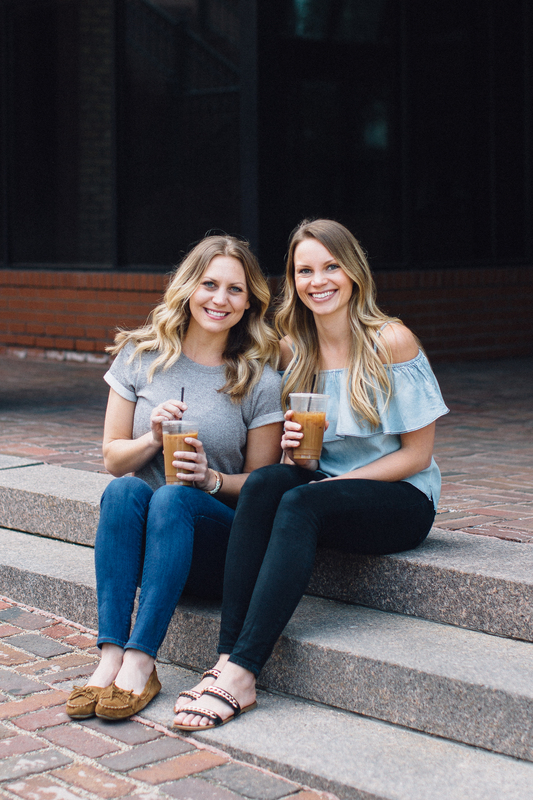 Before we get into all the details, the best way to stay up to date is by signing up for my email list to get new updates and also join our FB group to get early access to each week’s meal plan & grocery list. We’d LOVE for you to join us! 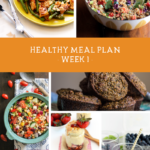 Today I’ll be providing the meal plan and grocery list for you to download. 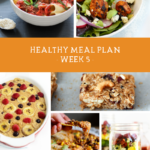 You can check out Fit Foodie Finds for the Week 1 Fitness Plan; it’s one of my favorites because it has emphasis on both cardio and strength training! Lindsey from Nourish Move Love designed the killer workouts for you. 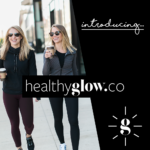 She’s an amazing personal trainer based in Minneapolis and we’re so thankful to have her join us to craft intense, adaptable workouts. Lee and I have tried them out and can’t wait to continue to do them with you throughout the Summer Sweat Series. The meal plans were created for two people. It’s important to pay attention to serving sizes and the middle column, as it provides helpful instructions or additions. We included calorie counts in the plan but fully believe that it’s more important to eat real, wholesome nutrient dense food. Eat to live! Lee and I both believe in eating foods that fuel your body, but also eating foods that make you happy. We’re all about a balanced meal plan, that’s why we include protein packed meals but also dessert for dinner every night. Most of the meal plans are gluten free and there are plenty of vegetarian-friendly options! I’m sure there will be plenty of questions on the meal plan and modifications but we want to emphasize that this is just a guideline; feel free to modify the plan to fit your dietary needs and caloric intake. We just want you to eat REAL food! FYI: Most of the meals are from both AK and FFF, so you know they’re delicious! If you aren’t following us already on Instagram, we’d love you to! Please also feel free to use the #SummerSweatSeries hashtag and we’ll regram our favorites! You can take a picture of the recipes you make, your progress, or anything that inspires you to eat nutritious food and get moving! Wanna buy a tank from us? How cute are these tank tops? Sweat now, dessert later. What a crazy good idea, right? If you’d like you can purchase a tanktops here for only $19.99! Currently we are only shipping within the USA! Alright, that’s it for now. xoxo! 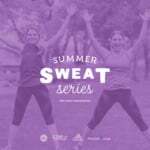 A HUGE thank you Finish Line and adidas women for sponsoring this year’s Summer Sweat Series. We put a lot of work into making this program a fun, engaging experience and none of this would be possible without their support. 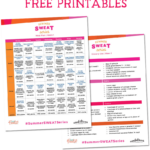 7 Responses to "Summer Sweat Series 2016: Week 1 Nutrition Plan + Grocery List"
I’m a day behind due to travel but just downloaded the grocery list and meal plan and ready to head to the grocery store!!! Are the optional ingredients in the recipes included in the total calories for the day?